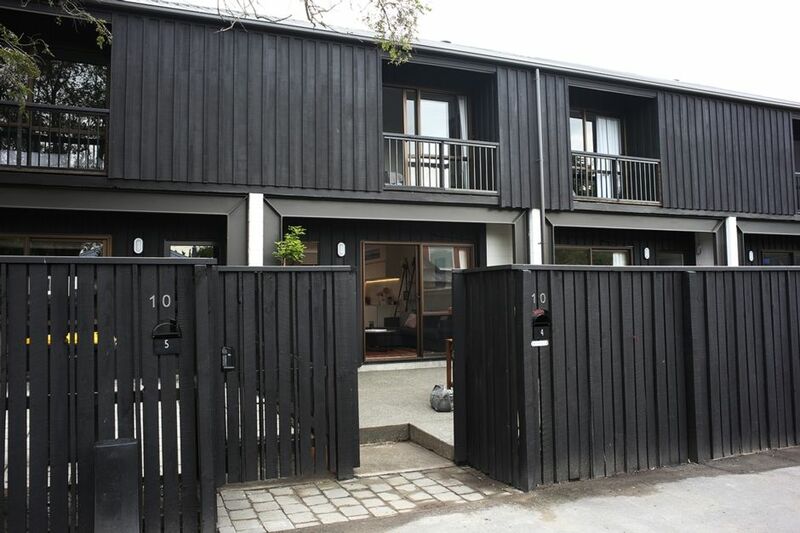 Freshly renovated - 2 Bedrooms chic city townhouse. City central location - walking distance to Christchurch's best activities, bars, cafes and restaurants. Kitchen - Modern with large counter space for entertaining. Includes dishwasher, new appliances, such as toaster, oven, electric kettle and all the cookware necessary to make a gourmet meal. This trendy two bedrooms townhouse has plenty of space and all the comforts of home. Booking this townhouse gives you exclusive access to the property. It's one in a block of four townhouses. Free gated carpark available for a car or mini-van. It's a very central and safe location. We have a lock box at the property for convenient and easy check in and check out. We are on hand and easily contacted to assist guests. We also provide a booklet with handy local tips and a list of our favourite things to do and see in Christchurch. Please note this property has a strictly “No Party Policy, failure to comply with property polices may result in the eviction of guests and the loss of any deposits, payments or bonds paid. Damage to the property will result in further charges. Guests may be asked to sign the property terms and conditions of stay. Guests are required to show valid ID and credit card prior to arrival.